JM Tower Hire operates high capacity “Travel Towers” with 24 to 70 meter reach and 360 degree continuous slew. We service all areas throughout Melbourne / Victoria. Available for any type of Elevated work platform (EWP) including Telecommunication works, Lighting works, Tree lopping, Window cleaning and Photography. 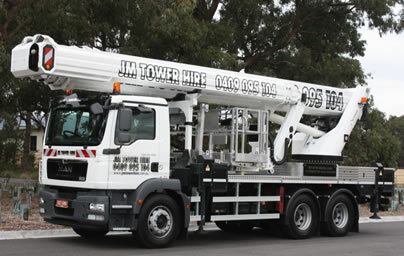 J M Tower Hire provide Cherry Picker Hire throughout Victoria. Each of our Cherry Pickers come with an operator driver. Our Cherry Pickers range from 24-70 metres each with 360 degree continuous slew, all available for any aspect of Elevated Work Platform from Telecommunication works, Lighting works, Tree lopping, Window cleaning to Photography etc. 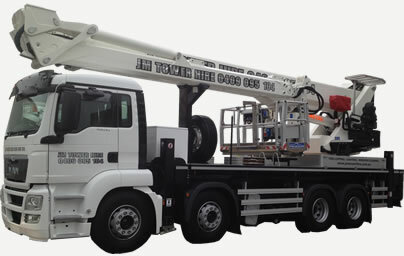 J M Tower Hire provide Cherry Pickers ranging from 24-70 metres all with 360 degree continuous slew. J M Tower Hire’s number one priority is to provide a safe, reliable, professional,and very price competitive service 365 days a year. Available for work in any aspect of Elevated work platform from Telecommunication works, Lighting works, Tree lopping, Window cleaning to Photography etc. 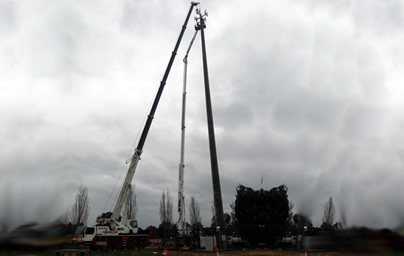 J M Tower Hire provide Mobile Tower Hire throughout Victoria. Each of our Mobile Travel Towers come with an operator driver. Our Travel towers range from 24-70 metres each with 360 degree continuous slew, all available for any aspect of Elevated Work Platform from Telecommunication works, Lighting works, Tree lopping, Window cleaning to Photography etc. JM Tower Hire are very experienced in Recreational Lighting Works. We are available 24 / 7 with driver operator Travel Towers ranging from 24 –70 metres throughout Melbourne / Victoria. JM Tower Hire offer a range of Truck Mounted Travel Towers from 24-70 metres for all Telecommunication Works within Melbourne / Victoria 365 days a year. Window Cleaning / Photography Works. Travel Towers are available throughout Melbourne / Victoria. 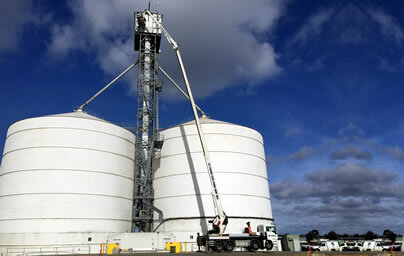 JM Tower hire can arrange traffic management and permits if required. Years of experience in Tree Work, with Cherry pickers ranging from 24 – 70 metres. Fully equipped with safety requirements. Our drivers can also operate from basket if needed.